As a result of scientific advancements and changing demographics in the United States and around the world, people of all ethnic groups and nationalities are retaining their teeth longer. Today s oral health professionals must therefore be prepared to make educated and scientifically-reasoned choices addressing a wide range of oral diseases for patients of all ages, and for ambulatory as well as non-ambulatory patients across all demographic profiles. 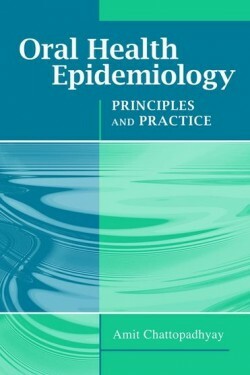 As the first text of its kind, Oral Health Epidemiology: Principles and Practice explores the full spectrum of epidemiological and translational clinical research including fundamental mechanisms of human disease, therapeutic intervention, clinical trials, and oral epidemiology. Topics that are unique to oral health, such as the frequent use of split-mouth design on oral research, crossover techniques and clustered nature of caries, periodontal and other dental disease data, are all thoroughly addressed. Key Features: Thoroughly explores clinical translational research and the special needs of oral health study designs that are applicable across all specialties in dentistry; Serves as a basic guide to advanced techniques such as bioinformatics, genetics, molecular biology, and computer simulation, biostatistics that are now used regularly in oral health research; Prepares the reader to design studies, translate the findings to practice, and conduct logical critique of scientific literature.